Reduce time spent on recovering passwords, improve recovery rates, and get more control over the password recovery process. Passware Kit Forensic portable is the complete electronic evidence discovery solution that reports all password-protected items on a computer and decrypts them. 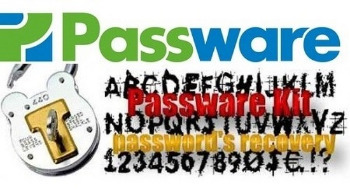 The software recognizes 280+ file types and works in batch mode recovering their passwords. – Recovers passwords for 280+ file types and decrypts hard disks providing an all-in-one user interface Updated! – Supports Distributed and Cloud Computing password recovery on both Windows and Linux platforms New! – Resets passwords for Local and Domain Windows Administrators instantly, including passwords for Windows Live ID accounts Updated! – Recovers passwords for iTunes and Android backups, as well as Android physical images Updated! – Uses multiple-core CPUs and NVIDIA and ATI GPUs efficiently to speed up the password recovery process by up to 100 times Updated! Passware Kit Forensic, complete with Passware FireWire Memory Imager, is the first commercial software that instantly decrypts BitLocker, TrueCrypt, FileVault2, and PGP hard disks, MS Office documents, as well as instantly recovers passwords for websites, Windows and Mac users, by analyzing hibernation files and live memory images acquired via FireWire.